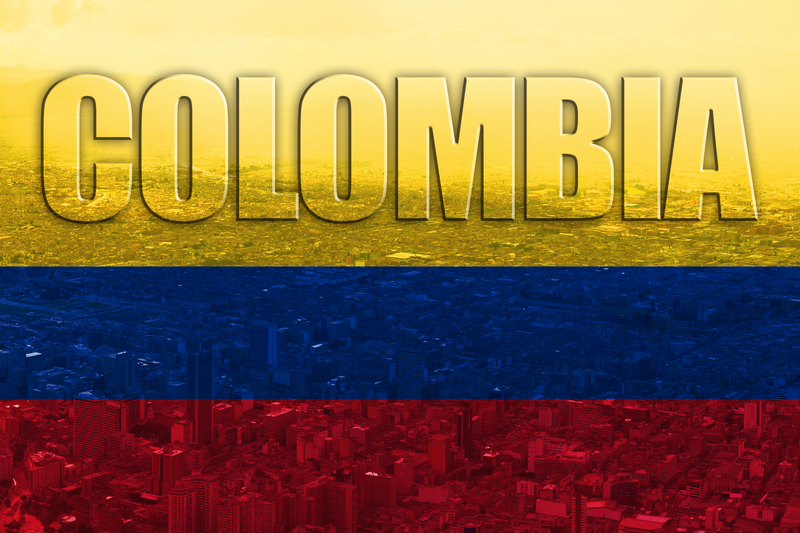 Yesterday, July 20th, Colombia celebrated 202 years of independence from Spain. Colombians all around the country demonstrated their patriotic loyalty much like we do for our 4th of July celebrations in the USA. They enjoyed a day off from work, parades, time with family, massive feasts, and giving thanks for their freedom. The story of their independence is a rather interesting one, revolving around a Venezuelan-born man named Simon Bolivar (who spent most of his time in Colombia and liberated 6 countries from Spain), and more interestingly, a conflict about a flower vase. Yes, a flower vase! You can read about that story here. The battle for freedom in Colombia wages on. I’m not talking about simply freedom from oppression from rebel groups, violence and political uprisings. Yes, that is what many focus on, but I’m talking about the freedom that Jesus speaks of in the Bible. You see, Colombia, just like the rest of the world, has a root need for eternal freedom. If you look at the entire passage there in John 8, Jesus was speaking to the Jews who were religious. They had the right family heritage, being sons of Abraham. They had the law. They had the right customs and practices and they didn’t see their need for being made free. But Jesus saw that they were indeed servants and slaves to sin, and of their father the Devil. Pretty harsh words, aren’t they? Set Free or Made Free? No matter how hard we try, in our own effort, the best we can do is to be “set free” from sin. There’s a difference between that and what Jesus actually said. He said he would make us free! Here’s a good way to picture it… If you were in prison paying for a crime that you committed and I came by with a bomb and blew the wall off to let you out, I would have set you free. The problem with that is, eventually they are going to come looking for you (and me) again to throw us both back behind bars. It would be a temporary fix. But, what if I go and pay your penalty for you. I can then walk in the front doors with the warden, who reaches for his keys and lets you out, now a free person. You’ve been made free. There is a great difference! Because, now, there is no more condemnation (See Romans 8:1). How are we made free? By Jesus Christ! He paid our penalty 100%. As long as we try to work our way to God, the best we can do is break free for a little bit. We can’t get completely free from sin, and we can’t get completely free from eternal condemnation. But, thanks be to Jesus, he has already paid the price and offers to MAKE us free! The Bible calls that Justification. My record is cleaned. God’s books show that I am free. There is no more punishment for my sin. No condemnation. Do you see the difference? That’s what Colombia (and the rest of the world) need to hear. Have you let Jesus make you free or are you still struggling along, trying to make it on your own. If you were to die today, would you spend eternity with God, or would you be found guilty. It all goes back to what you’re depending on. Are you depending on your works? Your religion? Your effort? Your family? Jesus Christ died on the cross to buy your freedom. Why don’t you believe in that today? Don’t just believe that it happened, but put all your faith in what He has done and repent of your own effort. He said he’d make you free. If you need help or if you have questions about salvation and being made free, I and my family would love to help you and answer your questions. Leave a comment, send me a message or give me a call. I promise to respond because Jesus loves you, and I do too. Posted on July 21, 2012, in Colombia, Personal Study, Random Thoughts and tagged christianity, Colombia, Religion and Spirituality, salvation, truth. Bookmark the permalink. Leave a comment.